Ever been outdoors or in a place without Wifi coverage? Of course you have, who hasn’t. But what if you need access to Wifi and you’re stuck in a similar situation? Well, worry no more. There’s a simple solution to your problem which requires only two things: An iPhone and a carrier data plan. 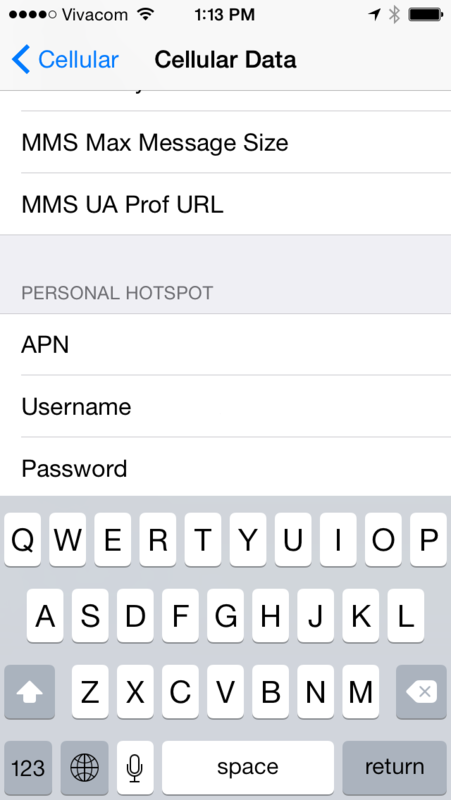 Using these two things, and a few easy tweaks found in iOS 8, you can now make sure that your iPhone is a Wifi hotspot. Before you proceed however, a word of caution. Unless you have an unlimited carrier data plan, you will need to watch your internet consumption, lest you run out of data. So with this precaution in mind, let’s start! 1) Access The Settings Menu From Your Home Screen. To start, you’re going to have to access the settings menu from your home screen. Simple enough. 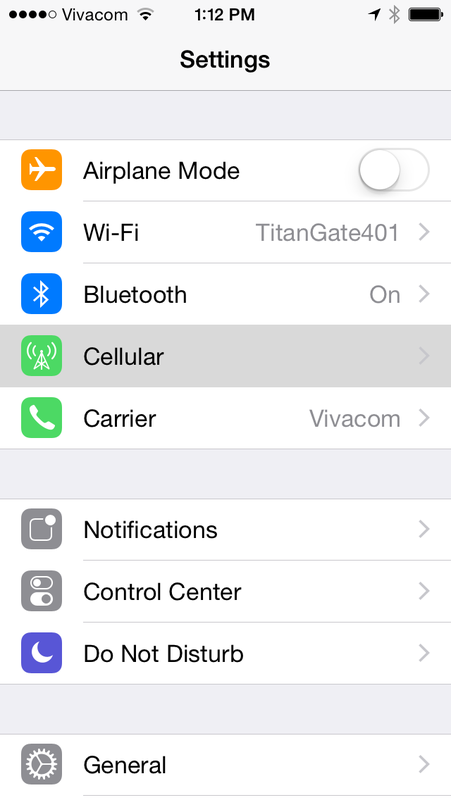 This is how a standard settings menu on your iPhone running iOS 8 should look like. 2) Tap On The Cellular Menu. After you’ve opened settings up, you’ll need to access your device’s cellular menu. That’s the one which gives you access to cellular options such as roaming and control of wireless data on your device. It should look like this. 3) Tap On Cellular Data And Scroll Down To The Personal Hotspot Area. 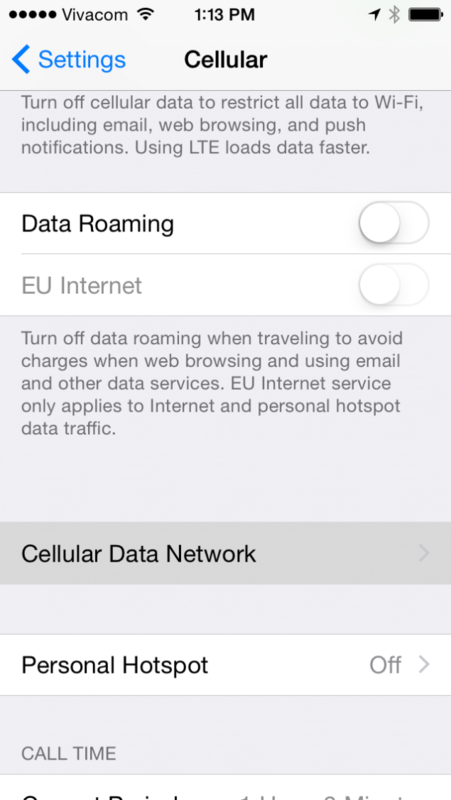 After you’ve accessed the Cellular menu, find an option labelled Cellular Data. Tap on it and a new menu will open giving you access to new options. Go to the bottom and tap on the Personal hotspot option. This will open up a sub menu which will give you options related to your new wifi hotspot. After you’re done entering the settings for your new Wifi Hotspot, tap on return on the keyboard, and go back to the main Settings menu. Your newly set up Wifi hotspot should be there. And now feel free to access the web through wifi. Within carrier data limits of course.